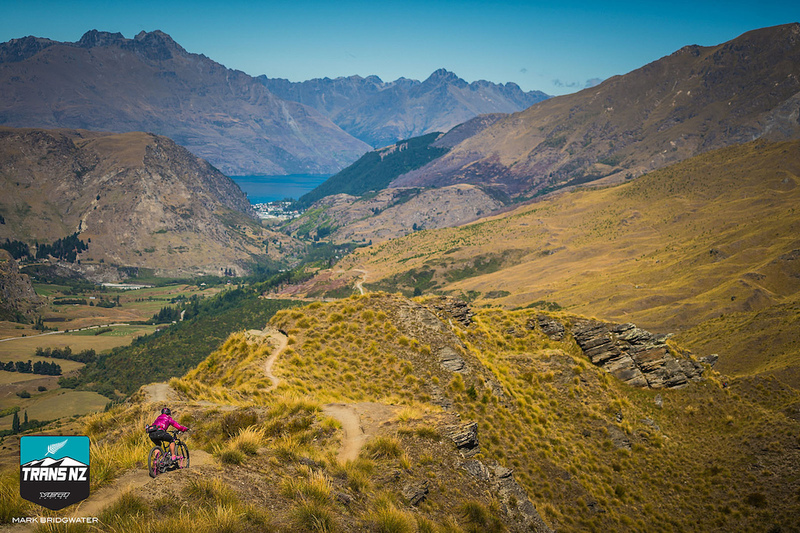 We’ve crossed the halfway point of the Yeti Trans NZ, and Day 3 presented stunning tracks in the cinematic landscape near Queenstown, New Zealand. 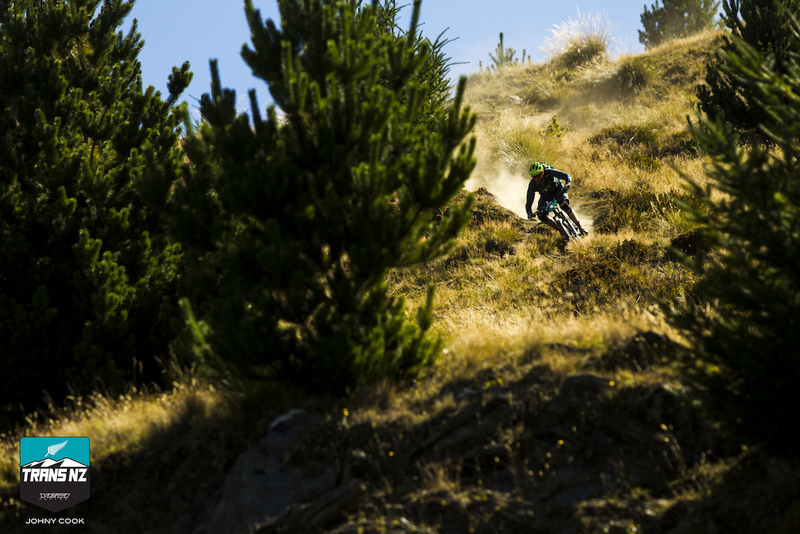 Classic trails and new school flow were raced one after the other, with a grand finale that completed the six-hour day in a 500m drop into Arrowtown. 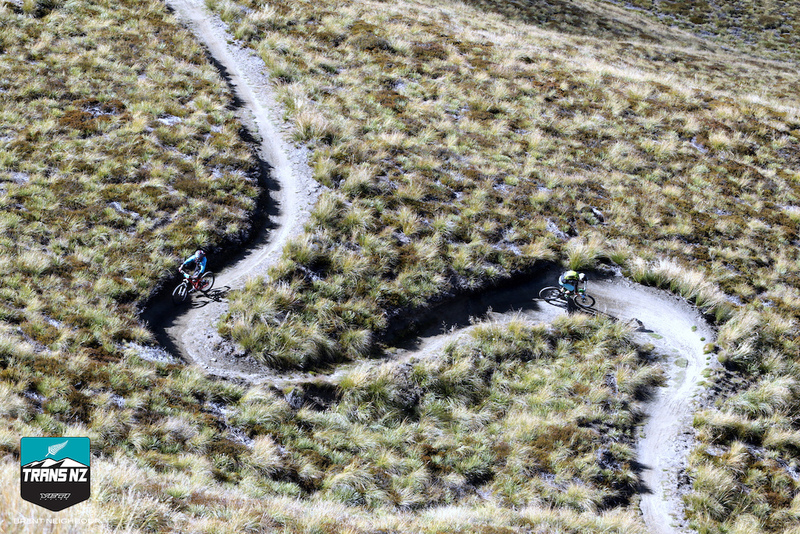 A series of tight chutes and ruts greeted riders on stage 5. “I don’t know if I could have a favorite stage of the day since they were all so good, but if I had to choose one, it would be the last stage. It pushed me to my limit. My hands were going numb, as it was the steepest, rowdiest track. The scenery was amazing at the top. It had everything, and overall it was the best day of racing that I have ever had,” said Mike Day (Alma, USA), Open Men. 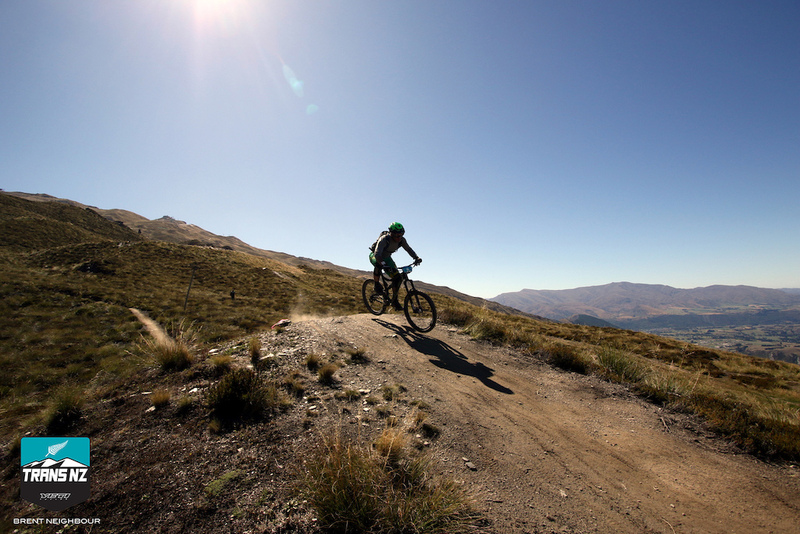 The morning started with a group transition up to 1650m at the summit of Coronet Peak. 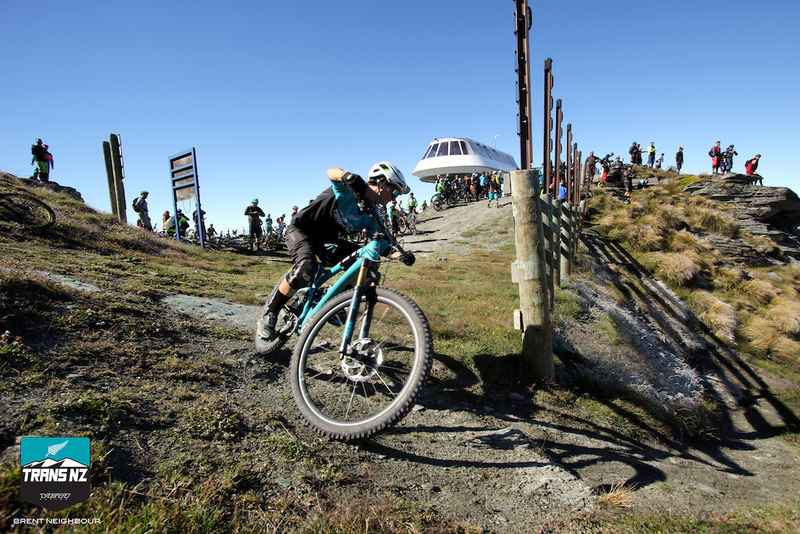 Everyone had to make their way to the top before the first rider could drop, since the transition and Stage 1 shared the same trail, aptly named “Enduro Track”. Overnight the tussock grass entered into a deep freeze, which put on a sparkling show for riders, and brought a sense that the austral autumn is right around the corner. Stage 1 was fast and furious, with several tech moves for racers to put on an exhibition through big sweeping turns and poppy moves, for the assembly of riders observing from above. Carl Jones (Rotorua, NZL), who is currently leading the Open Men’s race, was the only person of the day to nail the steep, punchy climb in the middle of the stage. Everyone else had to complete a quick dismount and run 30 to 40 seconds up the pebbly access road that instantly sucked watts out of legs. Event organizer Megan Rose is forerunner for Stage 1. She had the fastest time of the Open Women on this particular stage. Snaking turns on stage 1. The biggest transition of the day back up the Skippers Canyon 4WD road still loomed ahead, but racers diverted from the task at hand to climb above the Shotgun River for a short and spontaneous run down Greengates, nicknamed “Pinecone Alley”. Stage 3 contained some of the best loam yet, with freshly skidded tracks streaking black dirt and throwing pine cones through spokes. 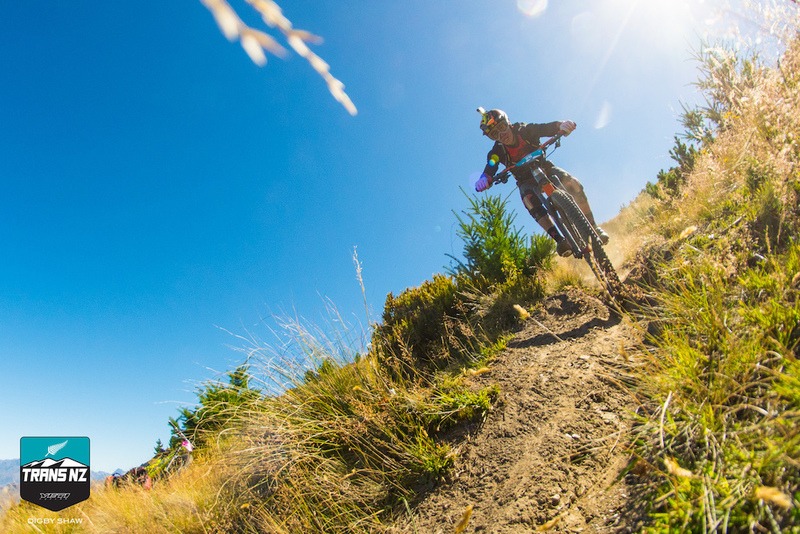 Rude Rock trail on stage 2. Carl Jones approaching the hardest part of the stage. The arduous transition out of the canyon was lessened by many opportunities for riders to stop and take in the scenery. For the Lord of the Rings followers, Skippers Canyon was the filming location for the Ford of Bruienen. 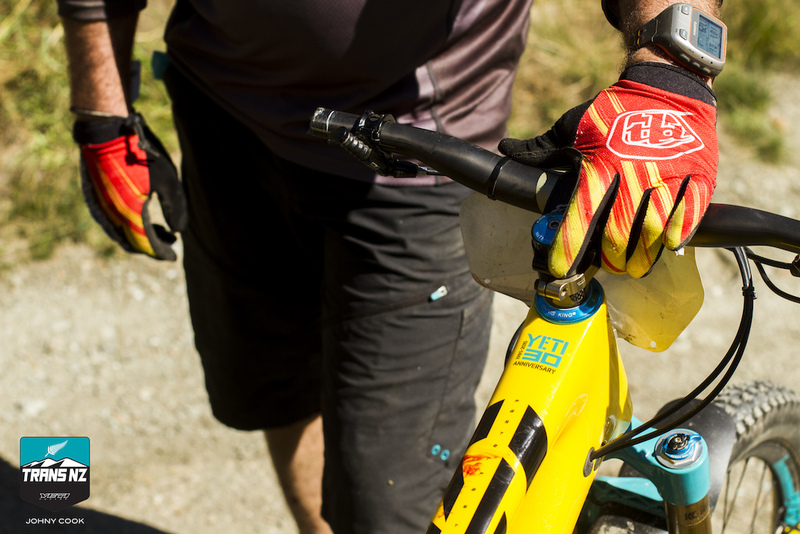 The pinch climbs in skippers canyon were too much for some riders after 15+ minutes of racing. Two more stages were left, and despite racers feeling fatigued, it was nothing but smiles towards the end of the day. 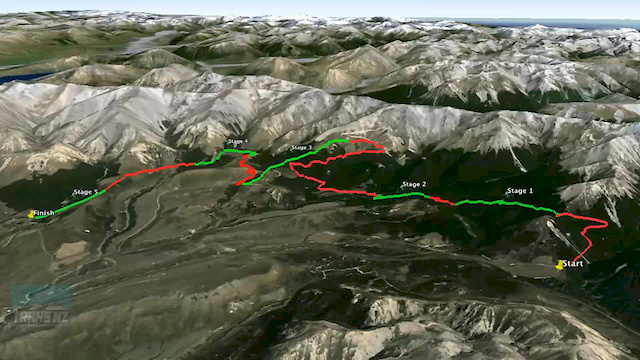 Stage 4 which was a hoot on Zoot, which featured braided trails weaving in and out of each other. Some lines had mini booters, and other had rough rock drops. 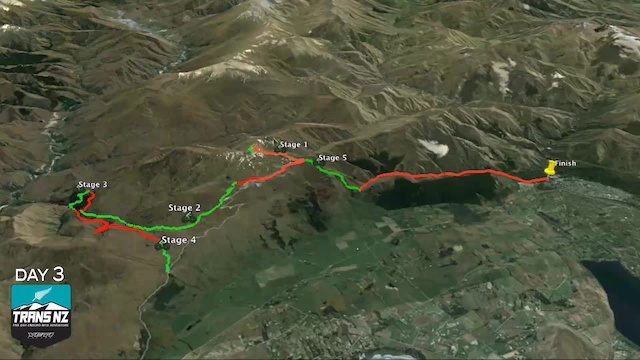 Whichever route riders chose, they were beaming as they jumped on the shuttle back up to Coronet Peak for the fifth and final stage of the day. 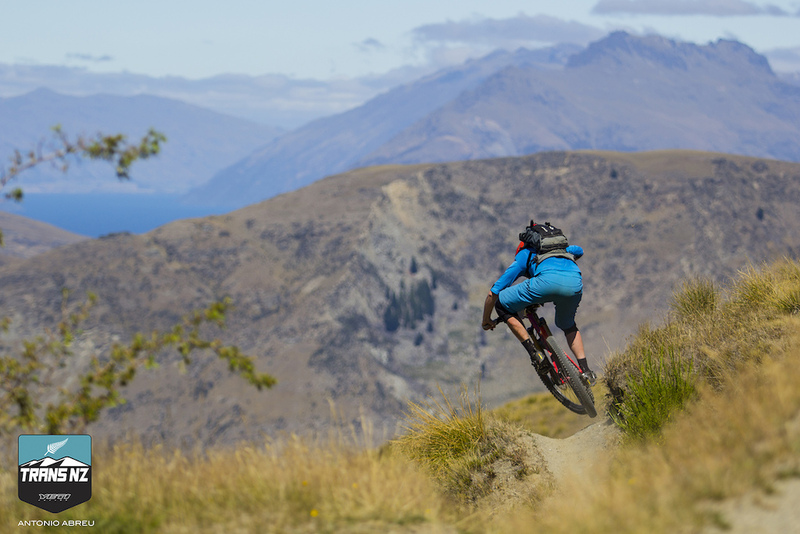 14 year old Jack Menzies is the youngest participant in this year's Yeti Trans NZ and the from has a bright future ahead of him with an uncanny combination of skill and fitness. After Day 3, Jack is currently sitting 26th in the Open Men. Maxi Dickerhoff, from Germany, at the start of Stage Four. 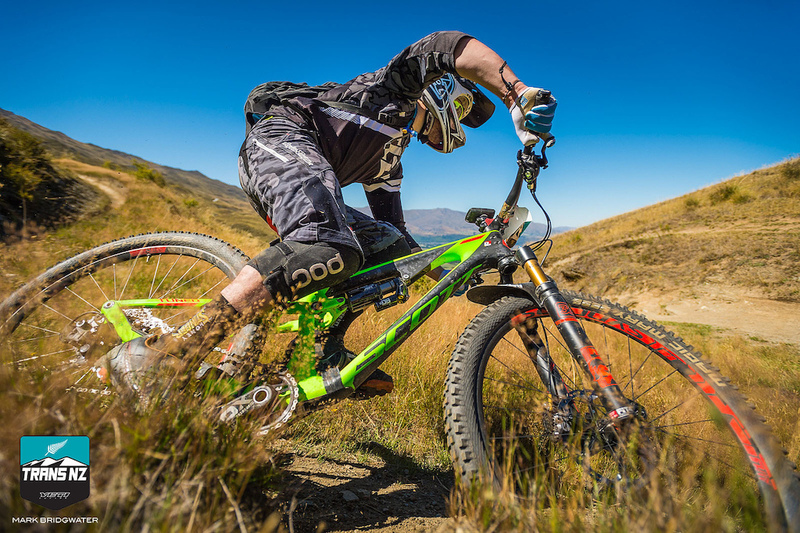 Steep, fast, loose and ruts was the name of the game on Slip Saddle. “It was really hard to stay on the bike, but super fun and probably my highlight of the whole event so far. 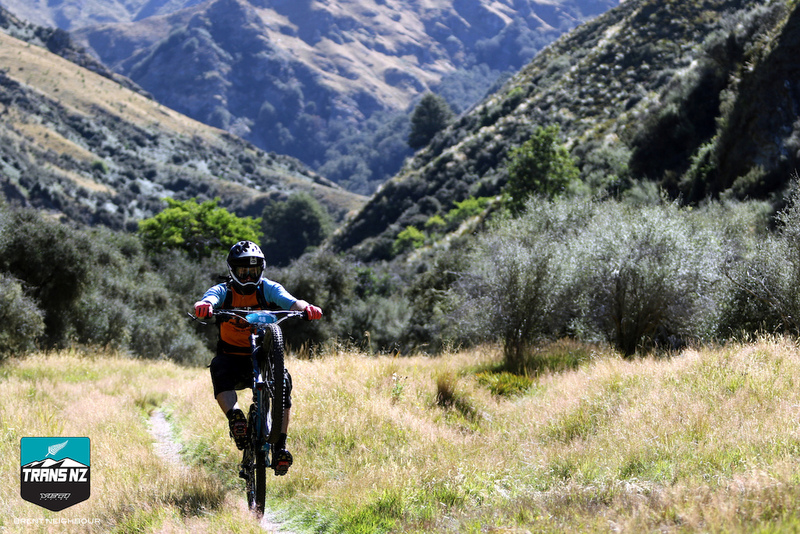 I looking forward to more Stage 5 kind of action this week, and to stay on my bike and stay alive,” said Christian Wingate (New Plymouth, NZL), Masters 40+ Men. Smashing ruts on Slip Saddle. 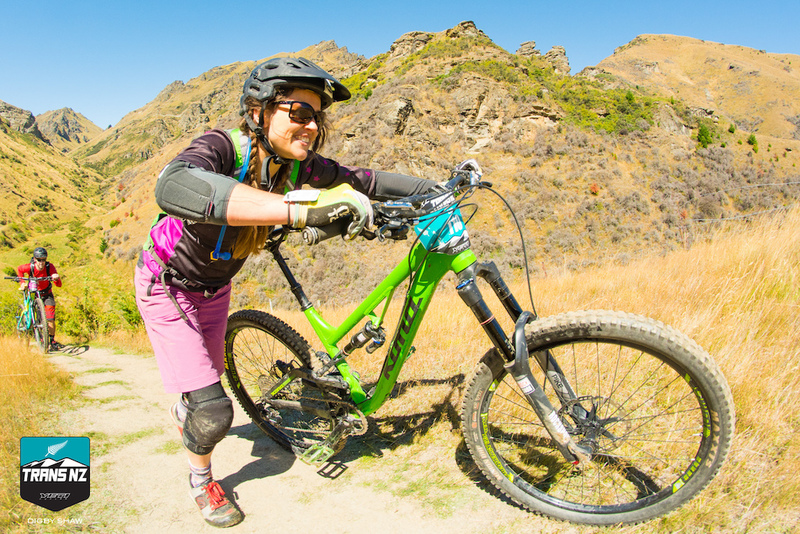 The liaison all the way down to Arrowtown and cold beers was almost as good as the stages throughout the day. Megan Rose, race organizer mentioned that although it could have lengthened the stage for more descending, she decided to truncate it to make the final chute more spectator friendly and incorporate in a fun cruise back to the shuttles and time-in station. 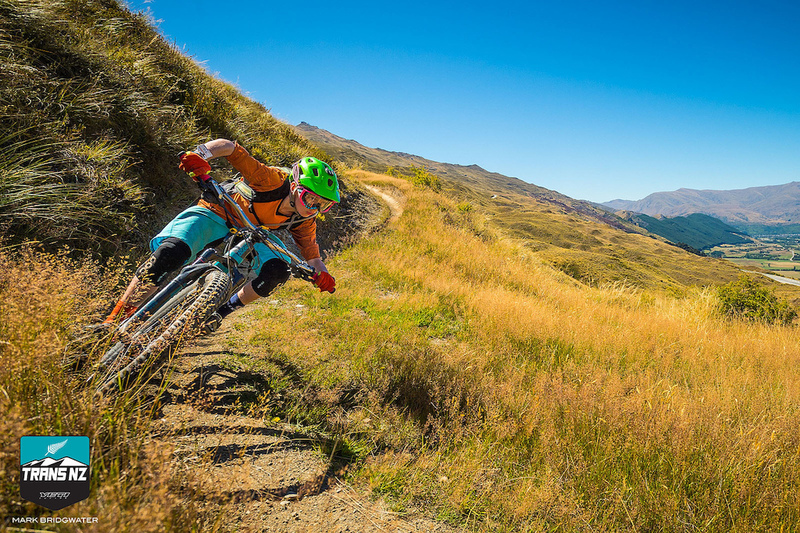 Tomorrow’s routes in Alexandra will be a complete dichotomy to week, as the Yeti Trans NZ seeks out new challenges, rocky and sandy terrain in the rain shadow of the Southern Alps. Notorious for high temps and little shelter from the intense sun in the semi-desert, Day 3 will require racers to saddle up for 100 percent human powered liaisons. Stay tuned to regular updates on Facebook and Instagram throughout the week, and daily video recaps on Vimeo. Hashtag your photos #transnzenduro to make their way onto the live stream of the Trans NZ’s Media HQ. For more information email megan@ridingbc.com or visit www.transnz.com. Flynn kicking up the dust on the final stage. 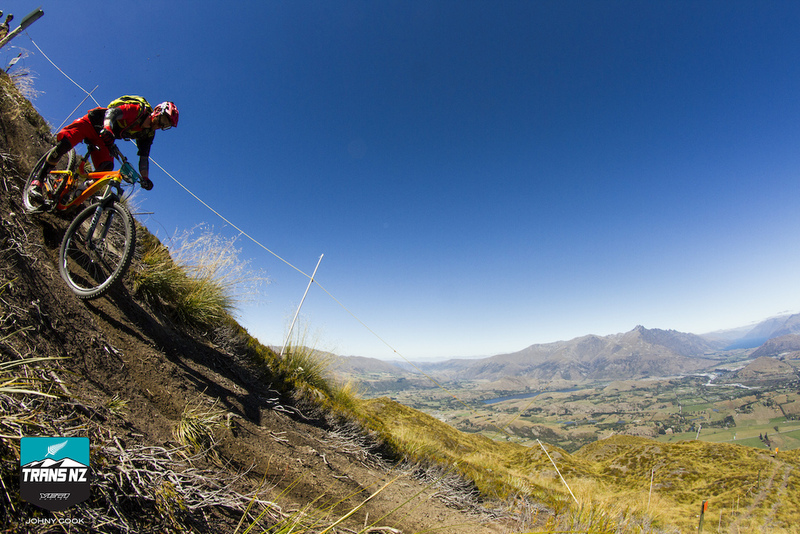 Visit www.transnz.com for full Day 3 and overall results and more images. Clean snap of the handle bar with a compliment of blood on the frame. Endurolicious. That 14 year old is killing it on form in that photo. We are very proud of Jack and an honour to have been his coach. That little crusher is keeping us humble and fit???????? Carbon not even once, or a torque wrench just once. Yep - moment increases nearer the stem, so would expect a snap at either the stem, or more likely at the outboard end of the tapered section. Bar has definitely been weakened by something right where brakes and grip lock ons go. Ignored the torque recommendations on the grip clamps. If the hex wrench snaps, it's too tight. 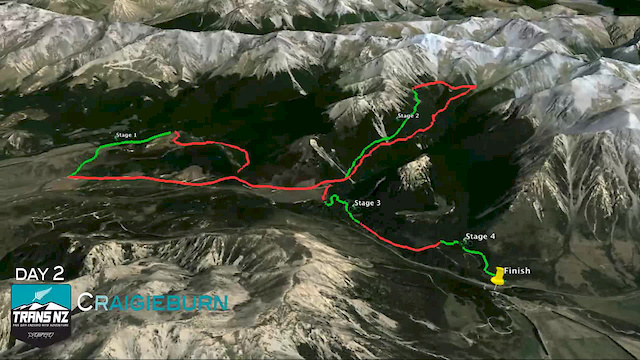 Would be great to see the distances covered by stage in these write ups...they certainly look like epic rides! Homeboy Flynn George doing Colorado Springs proud!! Yeah! 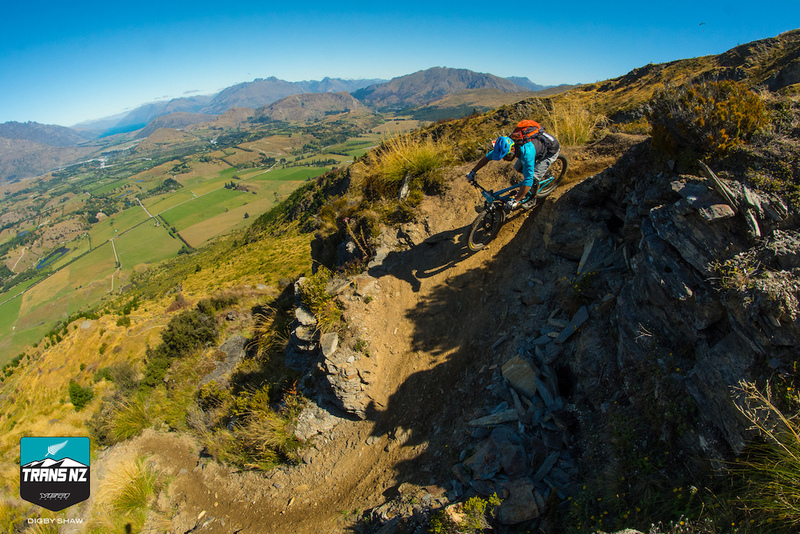 Killer looking trails. Great pics! 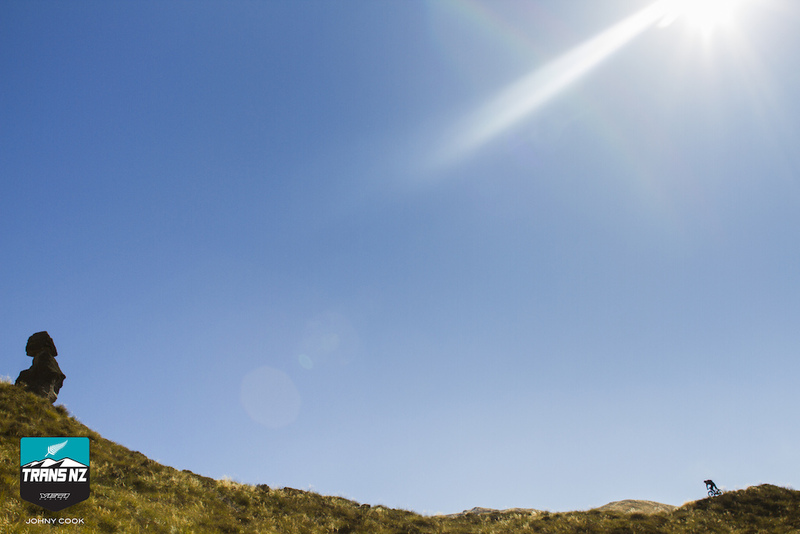 New Zealand is awesome! What's up with the video quality? Who is the person hucking the Process? My kind of lady! Well I do have a Process!